May 2, 2011 by © Joan Miller - Luxegen Genealogy. 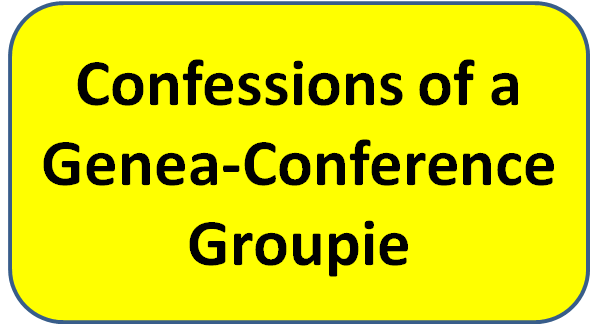 Hi, my name is Joan and I’m a Genea-Conference Groupie. Yep, I admit it, I’m hopelessly addicted to attending genealogy conferences. If I had my druthers (and unlimited funds) I’d spend my time jetting around the world attending genealogy conferences. The symptoms include random googling of search terms such as “genealogy + conference” and “warm places”. You see, I live in Canada and considering we just had snow (again! ), I’m sure you can understand. In the last year (May 2010 to April 2011) I attended no less than 6 Genea-Conferences and events in two different countries. Here is where this particular Genea-Conference Groupie made her appearance in the past 12 months. April 2011. Alberta Genealogical Society. Edmonton, Alberta. And there are more to come. I will be speaking on the Bloggers Panel in June at the California (SCGS Jamboree) in Burbank, California. Why am I a Genea-Conference Groupie? 1. Because I’m an avid genealogist. I love the detective game; the chase, the fun of discovering one’s ancestors. 2. Because I learn something. I attend Genea-Conferences because I learn new techniques and not just about genealogy. I also learn about tools that can cross over to other interests, such as how to search effectively using Google Earth, for example. 3. Because I can share. I like to help and I can share tips and highlights of what I’ve learned. I believe the recording of one’s family history and keeping accurate genealogy records are important. Not everyone can attend a far flung genealogy conference. I don’t share talks verbatim but I do like to take one action item away from every session I attend and share it with my Luxegen Genealogy blog readers so that they too can benefit. 4. Because Genea-Conferences are fun! I love the camaraderie and networking with fellow geneabloggers, genealogists and vendors. I’m retired and have more time now. If others can live vicariously through my genealogy conference experiences and I can share the experiences here on my blog, then it makes me feel good. I like to help. Thomas MacEntee is running a series of posts about Genealogy Conferences this week. (Genealogy Conferences – The Magic Recipe). This Genea-conference groupie (me!) is planning to share her experiences based on her perspective of someone who attends a lot of conferences. I urge you to weigh in with your experiences about genealogy conferences, whether it is one time a year or multiple times or once every five years. Or if you haven’t been to a conference, why not? Is it cost, is it distance? Is it time? What do you like? What don’t you like? What would be your ideal genealogy conference? Are genealogy conferences meeting the needs of those new to genealogy? Are they meeting the needs of experienced genealogists? What could be done better? What is being done well? You can bet genealogy conference organizers and vendors will be listening. Your comments will help the genealogy conference become the best possible experience for you and fellow genealogists. Everyone has a different perspective and background to share. Every voice has the potential to affect change. As a new retiree I think I’ll be joining your Genea-Anon group. I am envious that in North America you have so many huge events within reasonable reach. I spent part of yesterday googling the terms you mention and looking at family history and library websites within reach to find out what educational opportunities they had on offer. I have just found a local society just 30 mins away that has a great program of events – and am joining up today. I too blog about my experiences in the hope that others will gain some insights from my reflections. I do enjoy your posts so keep them coming. I look forward to seeing you in person at a conference again soon – in the meantime we’ll continue to connect at virtual events. Genea-conferences are addictive — hard to stop with just one! It’s a good thing you’ve got a soul-mate in your house who likes to travel to warm places too. And now he’s a genealogist. What could be better? Joan, I know exactly what you mean. I’d never been to anything more than one-day seminars (which I also enjoy) until last summer when I attended FGS. I was an addict by the time I left Knoxville. In a few days I’m heading to Charleston for my 1st NGS conference and I can hardly wait. 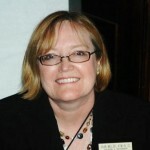 I look forward to attending the Quebec Family History Society’s ROOTS 2011 conference in June 3-4 in Montreal. I attended the last one a couple of years ago, and it was terrific! ROOTS 2011 is an international conference on family history research. It will be the largest English-language genealogical conference ever held in Quebec. There will be numerous well-known speakers discussing all aspects of family history research, computer demonstrations, and a book fair. All lectures and events are in English. 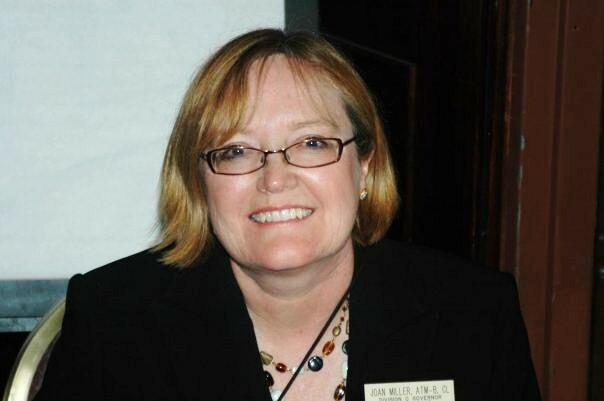 Sherry IRVINE is great – she has been a speaker at the Australasian Congress several times. I wonder who holds the record for the number of 2-or-more-day genealogy conferences attended! My count must be at least twenty (ten of which were four days or more). I too like to share some of what I learn at conferences. I used a Web page to list some titles of published conference papers, and I blogged about the genealogy conference on a cruise. Thanks for your comment on my post about being a speaker at genealogy conferences. In the next day or two I will write about attending and being a vendor at conferences. Honestly, what holds me back from attending more conferences is a babysitter!! I have 5 kids (whom I homeschool) and we don’t live anywhere near any of our family. With my husband being in the Army, he can’t exactly just take off work whenever he wants to watch the kids. I got lucky that the NGS conference is in Charleston (and I’m currently in Savannah). There was no way I was going to pass that up!! This will only be my second conference (I attended the Atlanta Family History Expo last year) and I’m so incredibly excited!!! I’m addicted too! I wonder who holds the record for the number of 2-or-more-day genealogy conferences attended! My count must be at least twenty (ten of which were four days or more). I too like to share some of what I learn at conferences. I use a Web page to list some titles of published conference papers, and I blogged about the genealogy conference on a cruise. Thanks for your comment on my post about being a speaker at genealogy conferences. I have finished my post and being a vendor, and I’ve started writing about the things I like about attending conferences, and the things organisers sometimes get wrong. But right now I need to sign off and do some work so I can afford to go to more conferences! Thanks for visiting and see you soon at a genea-conference! See you soon at Jamboree! I look forward to attending a FGS conference one day! Wish I was going. My gg-grandparents immigrated from Ireland to Quebec in the early 1840s. Have a good conference! Thanks for stopping by. Perhaps we’ll meet in person at a Genea-Conference one day. When is the next big one in Australia? The kids will grow up (to fast!) and you will have more time. Then look out! I bet we’ll see you at lots of genea-conferences! P.S. love Savannah! What a pretty place with all of the squares throughout the downtown. Joan, the Australasian Congress on Genealogy and Heraldry (only held every 3rd year) is ‘Your Ancestors in their Social Context’, in Adelaide, South Australia, 28-31 March 2012: http://www.congress2012.org.au. I have been to 8 of the last 9 Congresses and I’m looking forward to this one. It would be great if we could have an informal get-together of genea-bloggers there. Other conferences that I like to attend are the NSW and ACT FHS State Conference and the Society of Australian Genealogists ‘Lost In…’ weekend seminar (both 2-day events, and held annually). I enjoyed reading your thoughts on this, and I’ve mentioned your post in ‘Attending Genealogy Conferences‘ on my Genealogy Leftovers blog. Thanks for the mention, Judy! One of these years I’ll show up an Aussie genea-conference and get to meet you all face to face Thanks for commenting.